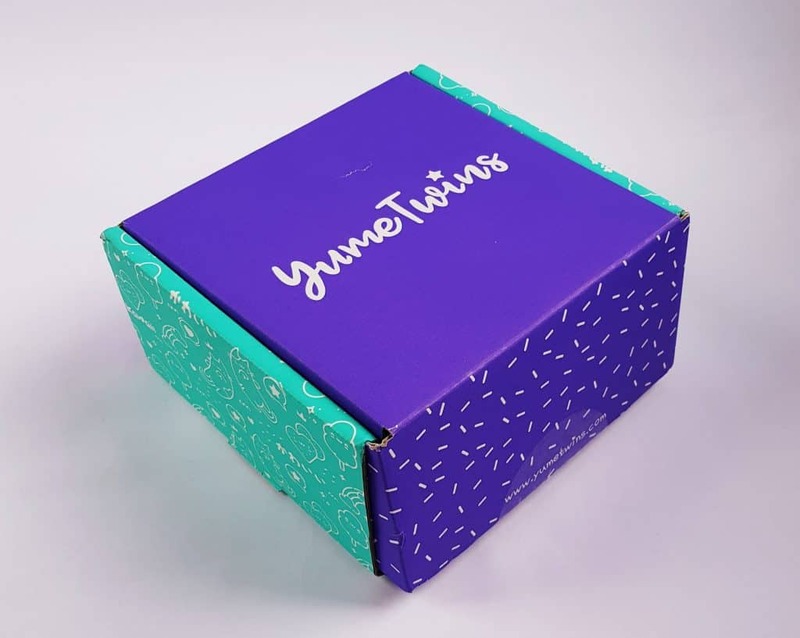 YumeTwins is a monthly box of Japanese kawaii products from Tokyo. 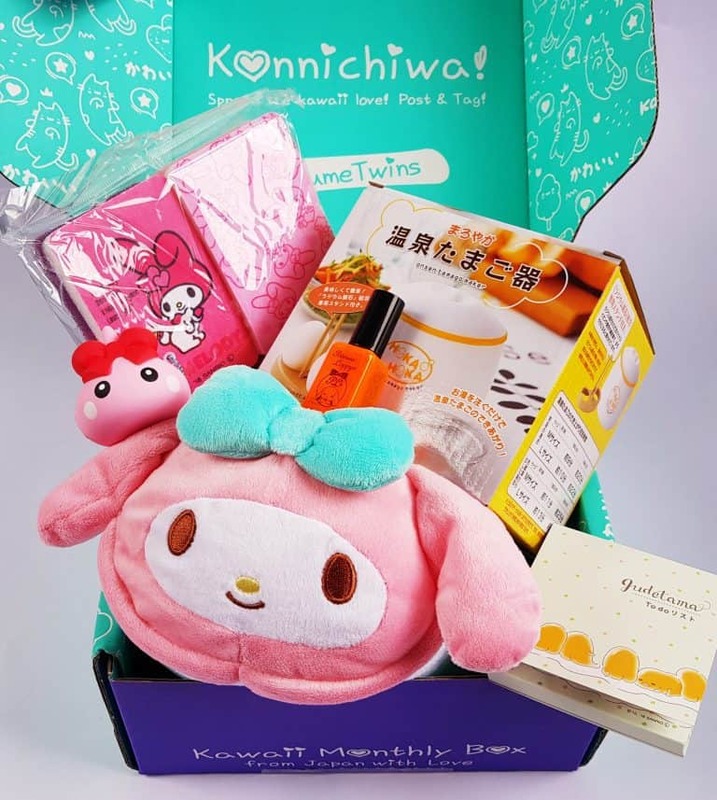 It is part of the TokyoTreat subscription box group which also includes TokyoTreat and nomakenolife. 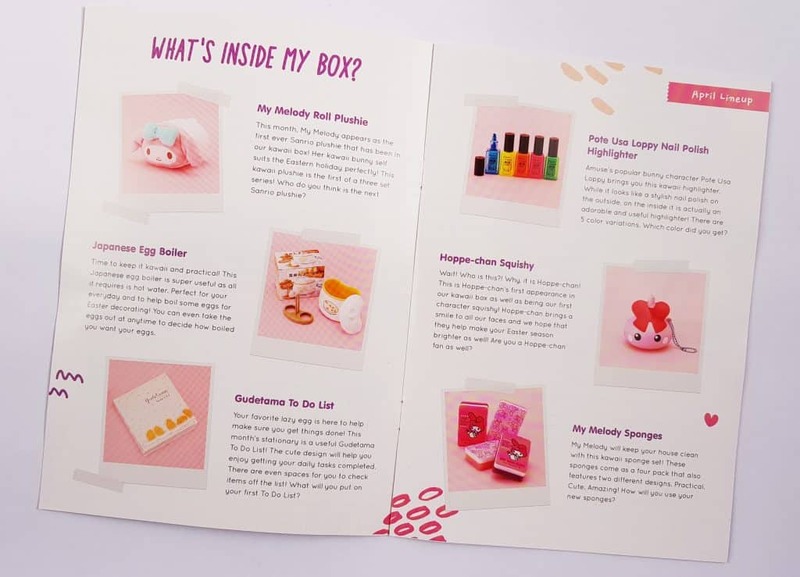 Each box contains 6 – 8 kawaii items including plushies and lifestyle goods plus premium anime brands. They have one-, three-, six-, and 12-month subscriptions costing $35.00, $33.50, $32.00, and $31.50 per month respectively.At current exchange rates this is £24.61, £23.56, £22.50, and £22.15. Shipping is free. 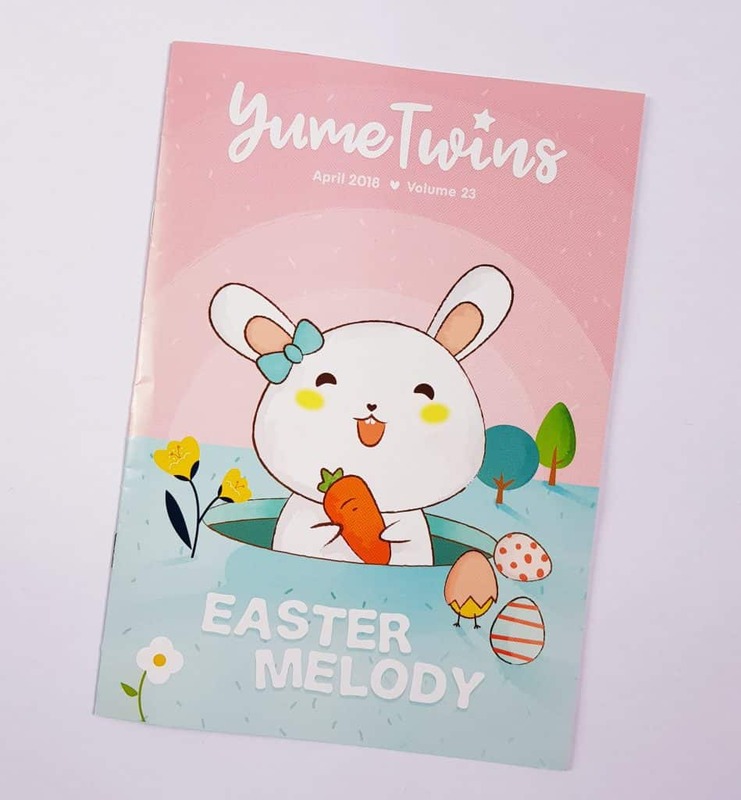 Easter comes right at the beginning of April, so this month’s theme is perfect! 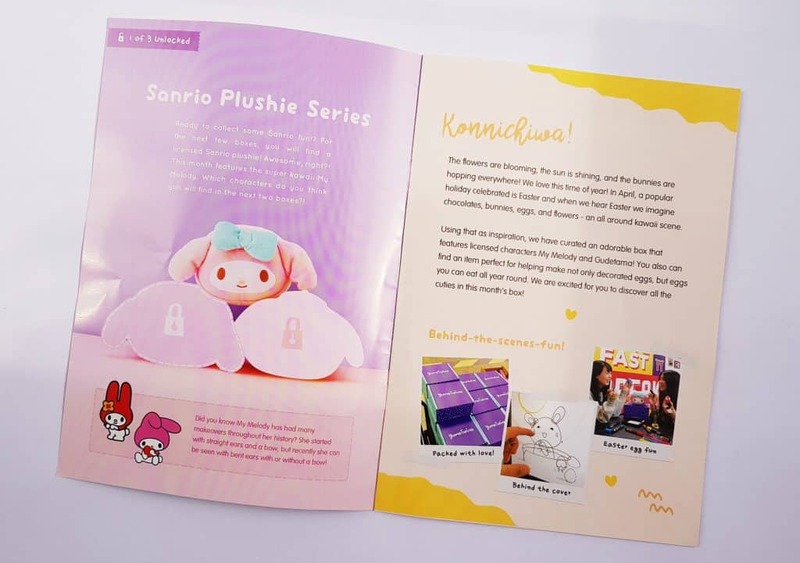 The menu booklet has a full contents list, plus information on the featured items and other fun stuff about Japanese kawaii culture. 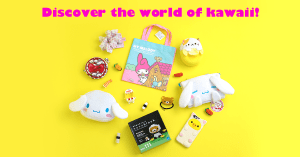 This month we have the first of a series of three Sanrio plushies! 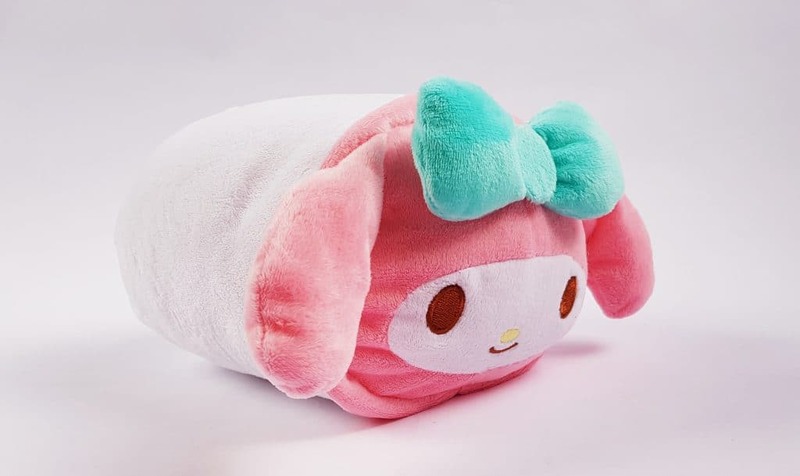 This roll plushie is My Melody. Isn’t she lovely? And so soft! 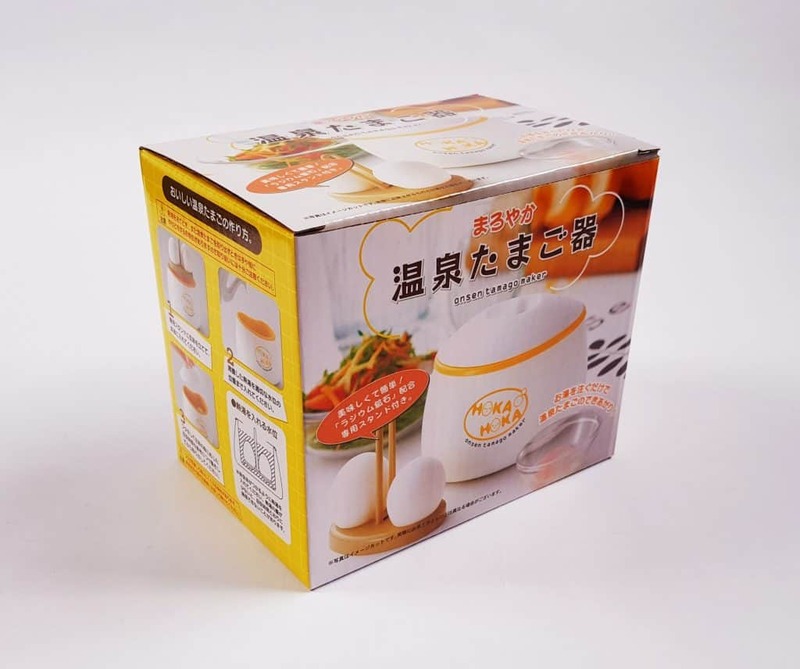 This is a Japanese Egg Boiler, and is the featured item this month. Technically it doesn’t boil the eggs, instead you fill it with hot water and let the eggs sit and cook in it. You can cook two at a time, and it has a little stand inside to hold the eggs. 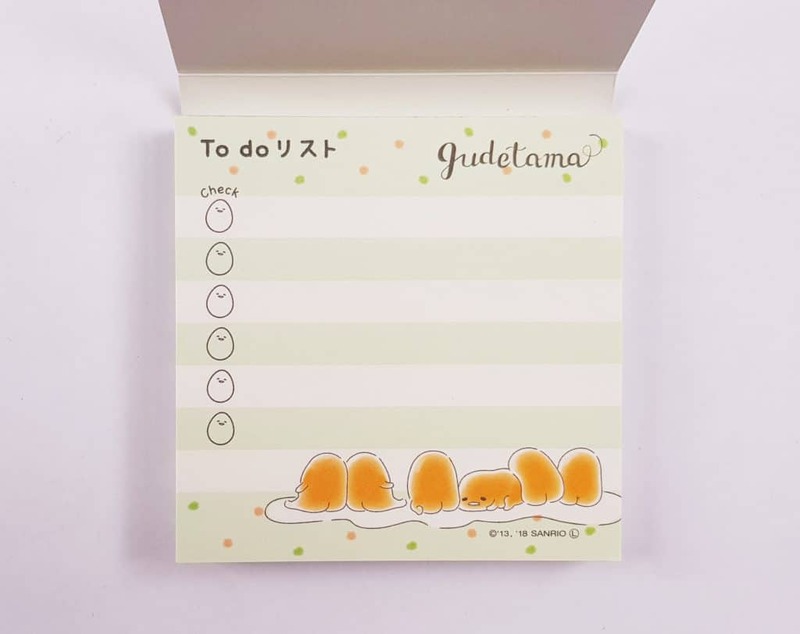 This Gudetama To Do List notepad features my favourite ever character! It’s full of tear-out list pages, which would be very handy for attaching to the fridge or sticking in your diary. Featuring Pote Usa Loppy, the little bunny, this looks like a bottle of nail polish. But it’s actually a highlighter pen! It’s one of five possible colours, this one being a nice bright orange. 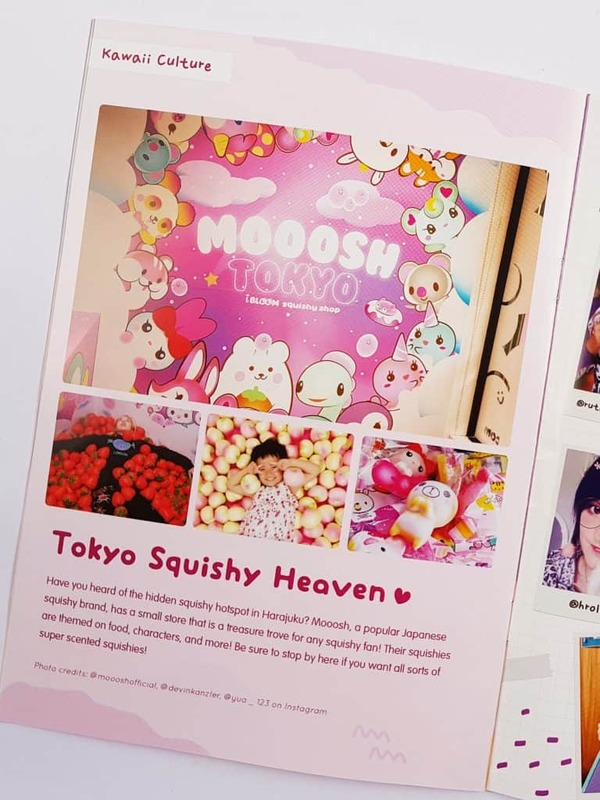 This month’s squishy is Hoppe-chan! This is a cute little teardrop-shaped character is very popular in Japan and comes in many different guises. This is also the first character squishy featured in YumeTwins! 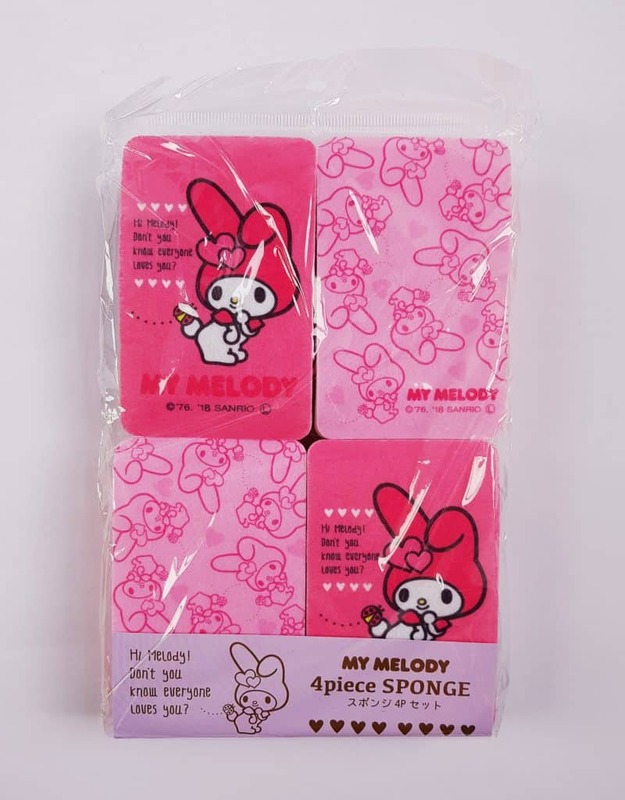 Finally, these lovely My Melody sponges will certainly brighten up the washing up! They also actually work really well, they are proper washing sponges. My favourite item this month is actually the sponges! I love the combination of cute and practical, and having four means they will last a pretty long time. 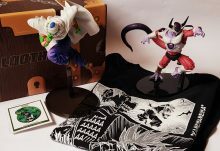 The plush is gorgeous, but then YumeTwins always do fantastic plushies! I’m looking forward to seeing the other two in the series. The squishy is cute, and it’s great to have a character this month. 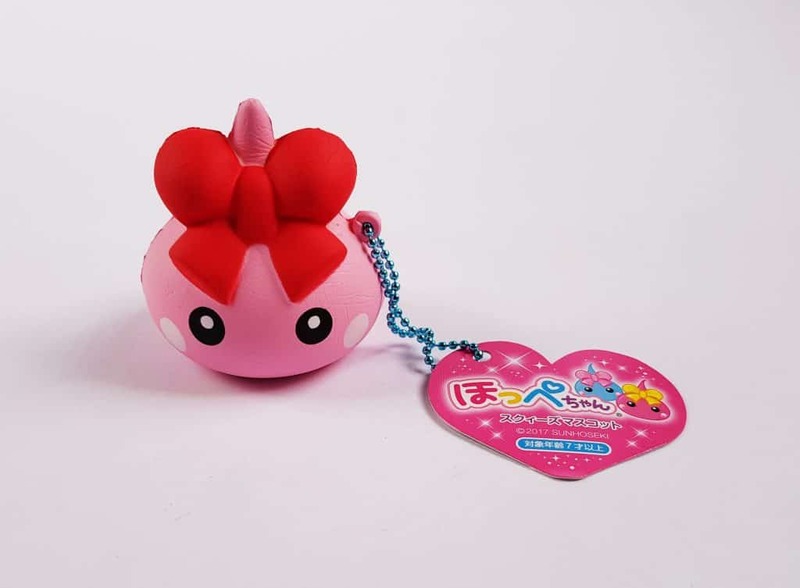 I don’t collect squishies myself, but I do know people who do, and know it’s going to be a big hit! The only thing I’m not quite convinced about is the egg cooker. 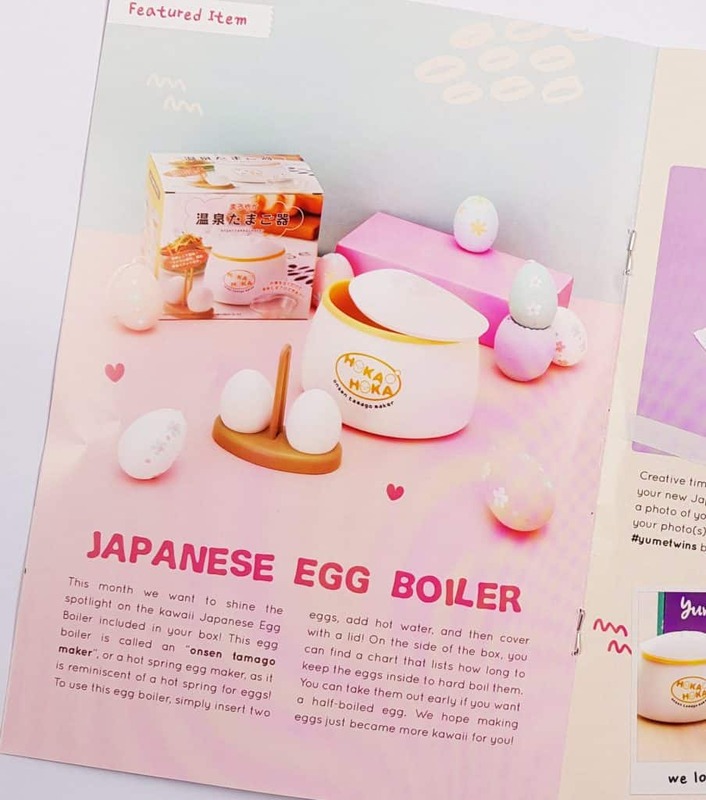 Sitting in hot water is actually a really good way to cook eggs, but the problem is that the instructions and timings are in Japanese! I can’t find a translations anywhere, though I’m going to keep looking and hopefully will be able to find a list of cooking times for hot water bath eggs. 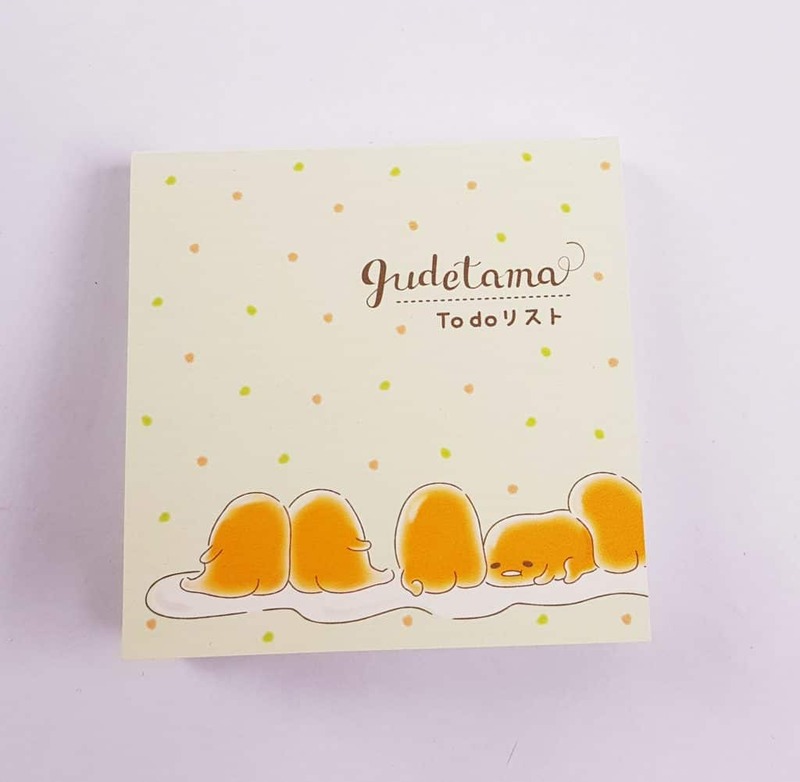 As for the Gudetama pad, anything with this character makes me happy, and it really ties for first place with the sponges! I write loads of lists, so this is going to be really useful. 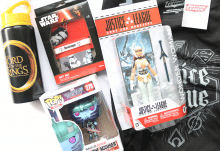 Value-wise, their items always come direct from Japan, so while it is sometimes possible to source them in the UK or Europe it can be tricky. On the odd occasion I’ve been able to find something on a UK site the price is always remarkably high, so I’m always confident the value is excellent! 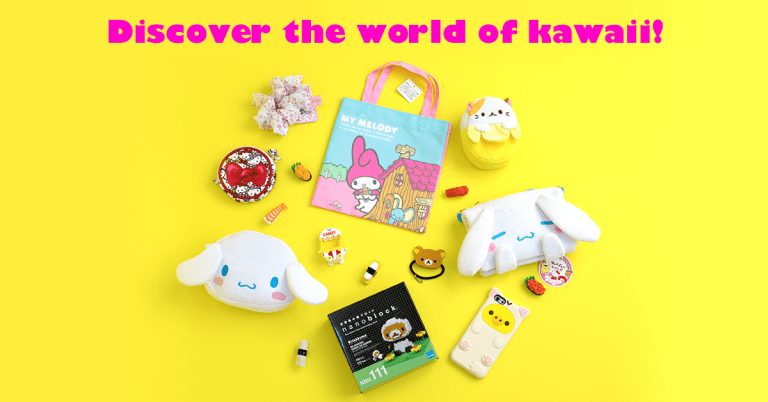 You'll have a kawaii Easter with a bunnies, eggs, and more!